Two years ago, Alice Guseva began studying in her first British school in London at the age of nine years old. After only two years at prep school, Alice received offers from six top London schools including St Paul's, Upper Latymer and Godolphin. The Gusev family moved to England from Romania in December 2015. They wanted to give their children an opportunity to have a first-class British education. UK Study Centre found a top school for Alice in central London immediately and she commenced her studies in January 2016. Despite the need for a very quick turnaround and the issue that most London schools had already closed for admissions, UKSC successfully placed Alice into Pembridge Hall, an excellent prep school in Notting Hill. This school prepares young girls for 11+ examinations and the transition to Key Stage 3, and is famous for being chosen by Victoria and David Beckham for their daughter Harper. As part of her application process, Alice was required to pass examinations in English, mathematics and logic. Our UKSC tutors prepared Alice very well. She already possessed a good level of English, but our tutors identified that she needed to adapt to the British education system, which includes compulsory French lessons and a sound knowledge of mathematics and science. In less than a year, Alice managed to fully adapt to her new schooling environment and she established herself as one of the strongest pupils in her class. After two years, Alice successfully passed her 11+ entrance examinations and interviews. 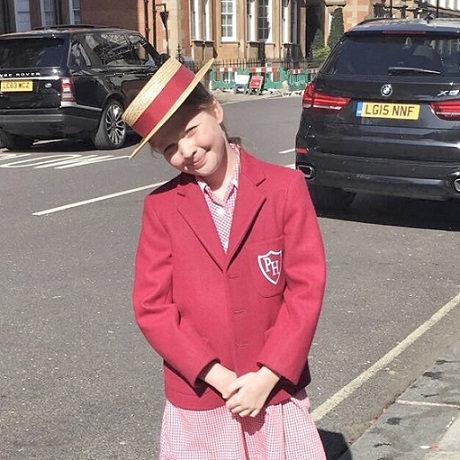 She was invited to study at several top schools for girls in Central London such as St Paul's Girls, Latymer Upper, Godolphin & Latymer, South Hampstead and both Francis Holland schools in Regent's Park and Sloane Square. No more than ten students are normally offered places at St Paul’s Girls from Alice’s prep school; her success was a wonderful achievement. We are delighted for both Alice and her family. UKSC consultants and tutors prepared Alice well for her first foray into the British schooling system. Alice and her parents worked very hard to ensure the best results possible and it has been a pleasure working with them.